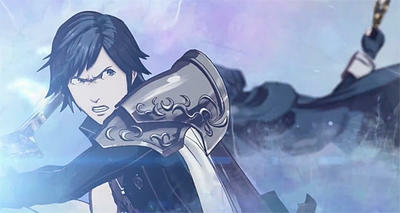 It's already exciting enough that you can cheaply extend Nintendo's excellent strategy RPG Fire Emblem: Awakening though their first foray into DLC packages for RPGs. However, now that maps are slowly becoming available for free, I don't think I'll ever be able to get over this game. For the first time, Nintendo has made a map available through its SpotPass service. The first map, "A Hard Miracle," tasks Chrom and his friends with assisting a mysterious woman by rescuing waylaid villagers. It's pretty standard for a Fire Emblem quest, but hey, it's free. To activate the map, enter the pause menu and select the wireless options. This will take you to the online options and your "bonus box" which holds the map and several other goodies you might find should you have ignored it up until this point. Three more maps are scheduled to be released over the next month and a half. "Ghost of Blade" will be available on March 28, "The Wellspring of Trust" on April 11, and "The Radiant Hero" on April 25. Purchasable maps are also slowly slipping in as well, and these offer new characters from older games and rare items not obtainable in the main title. Be sure to check out these as well.